Vertex speaker Bret Ineson on how leading mocap provider Animatrik captured actor Ciaran Hinds for the villainous role. Warner Bros.’ Justice League movie sees DC’s most famed heroes join forces – Batman, Wonder Woman, Aquaman, Cyborg and The Flash – to take down the film’s Big Bad, supervillain Steppenwolf. Interestingly, actor Ciaran Hinds never stepped foot on set in the role of Steppenwolf. Rather, the performance was pieced together via numerous motion capture shoots taking place elsewhere, each adding another layer to his evil persona. “The main focus was on Steppenwolf, but we also delivered on a number of other shots,” recalls Brett Ineson, president and CTO of Animatrik, who will be speaking at Vertex 2018. Gloating. Monologuing. It’s what villains do – and Animatrik’s job was to make sure Steppenwolf looked good doing it. Working away from the chaos of practical film set, and within the more ordered confines of the isolate motion capture set, Brett Ineson and team were able to place all of their concentration on Steppenwolf, leaving the director with less to worry about. 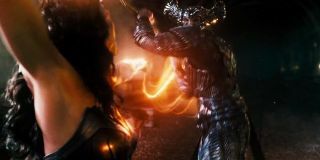 Zack Snyder could instead keep his attention on the subtle expressions and gestures that bring out Steppenwolf’s personality. Brett Ineson will be speaking at Vertex in London on 13th March. Head to www.vertexconf.com to buy tickets now! Brett Ineson will be speaking at Vertex, our debut event to join the CG community together. Head to www.vertexconf.com to book tickets and find out more about our other amazing speakers, workshops, recruitment fair, networking event and more!